While this week brings good news for downhill daredevils with the opening of Whistler, uphill enthusiasts in Vancouver are probably done for another year. 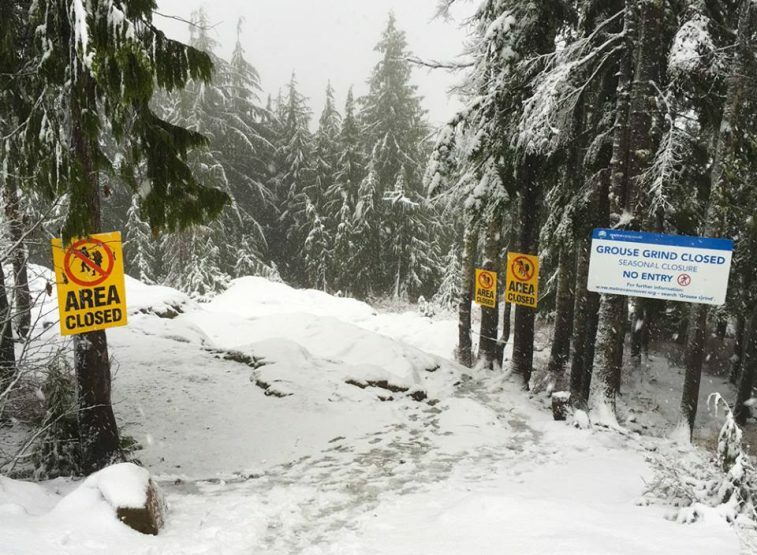 Due to “unpredictable and rapidly changing hazardous mountain weather conditions,” the Grouse Grind at Grouse Mountain is now closed, Metro Vancouver has announced. The date of the closure is is assessed based on the current and forecasted weather conditions.